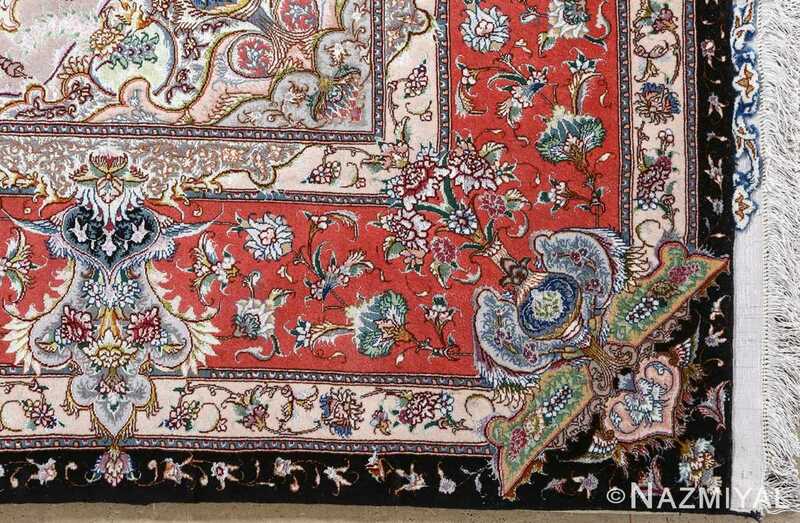 Beautiful and Extremely Fine Vintage Tabriz Persian Rug, Knots Per Square Inch: 650, Country of Origin / Rug Type: Vintage Persian Rug, Circa Date: 1970 – The skillful use of black and red, in this beautiful vintage Persian Tabriz rug, creates a veritable nightscape, tempering the Stygian darkness with beautiful tones of warmth and invitation. 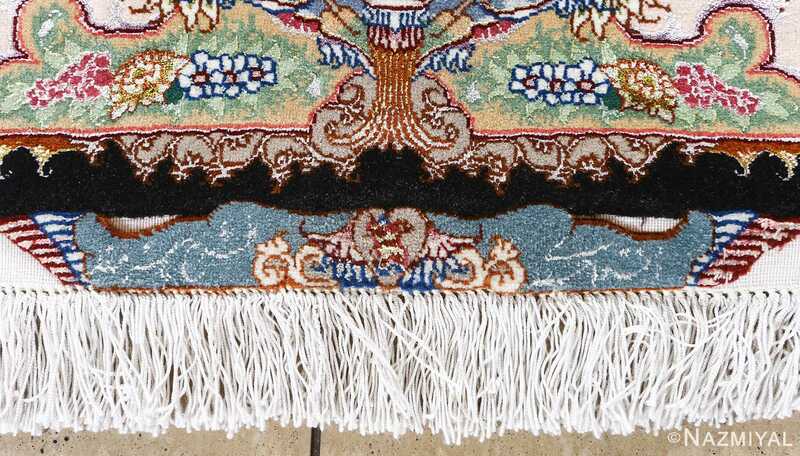 The edges of the rug are defined by the presence of those same colors, only set against further contrasting elements of beige, blue and green. 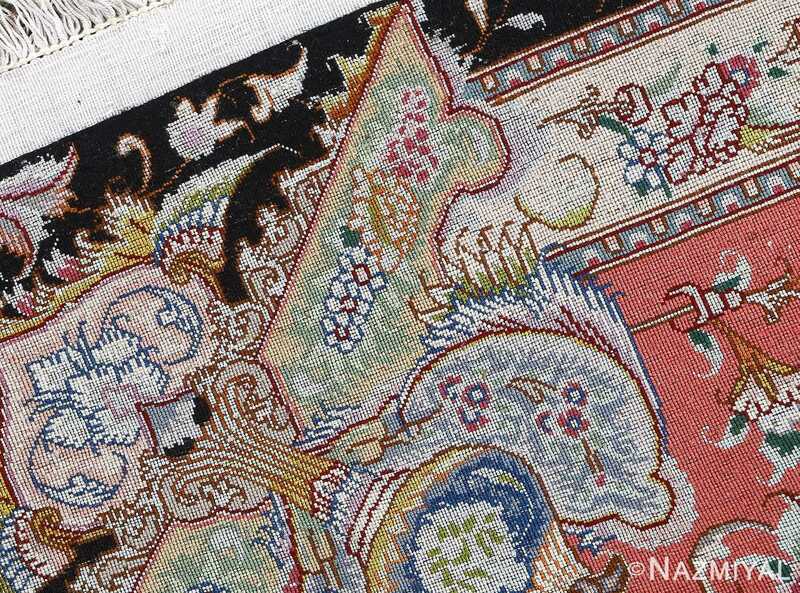 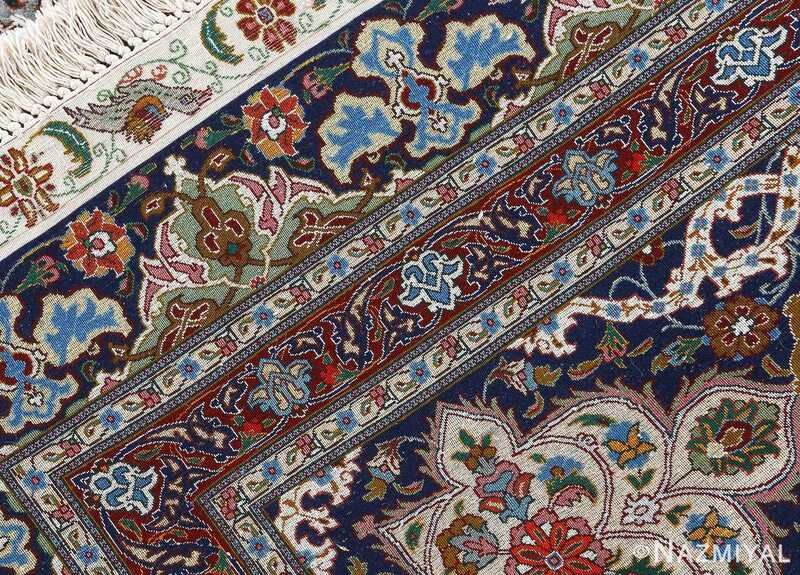 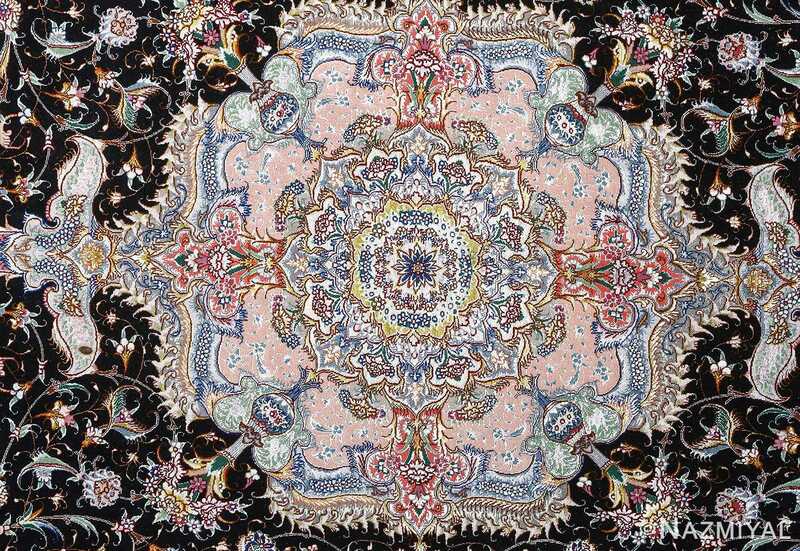 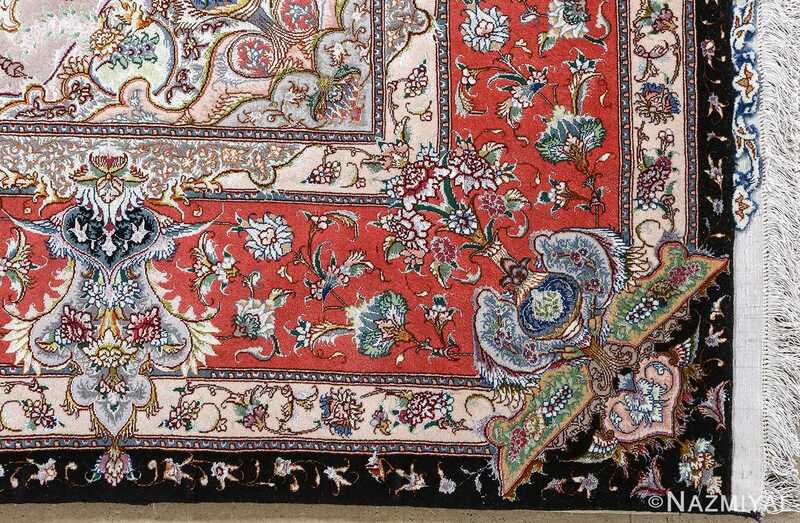 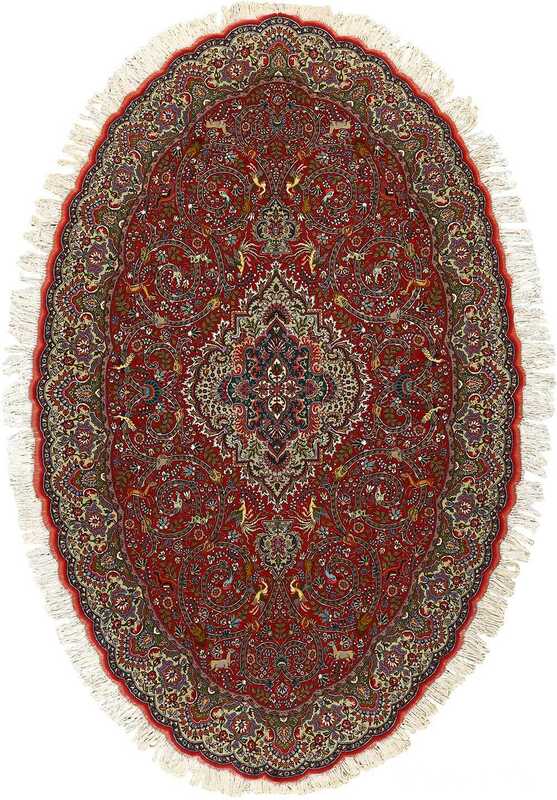 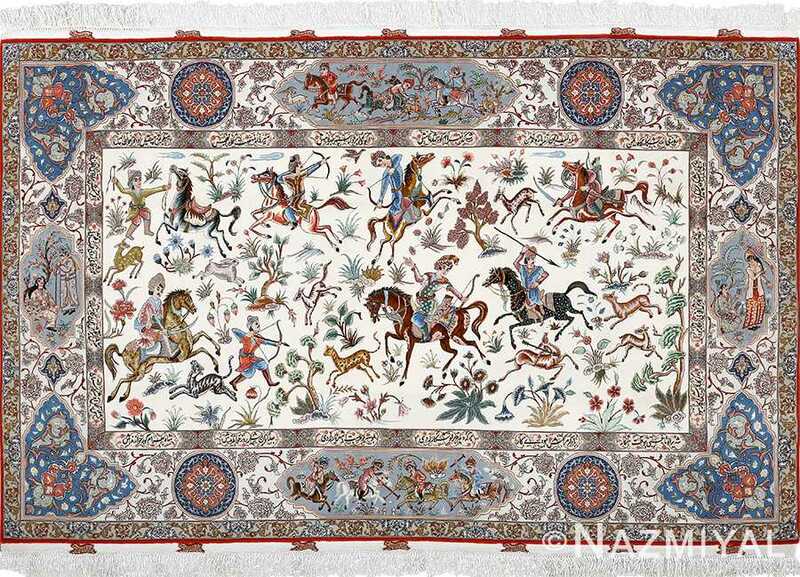 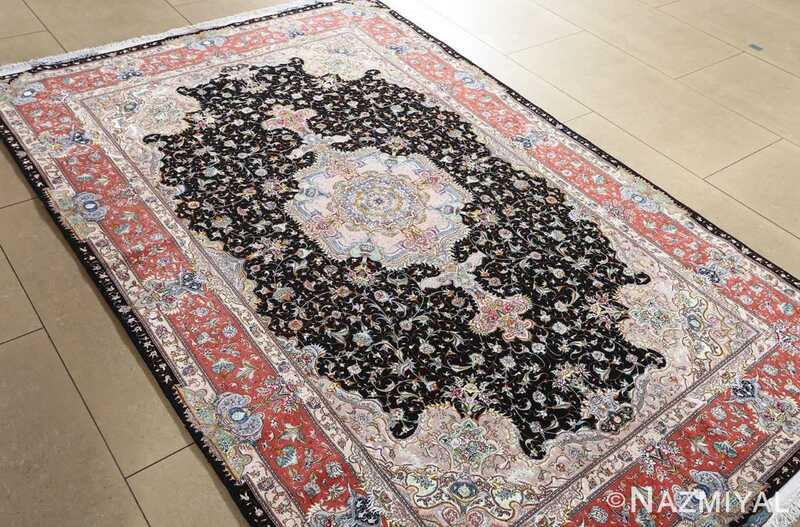 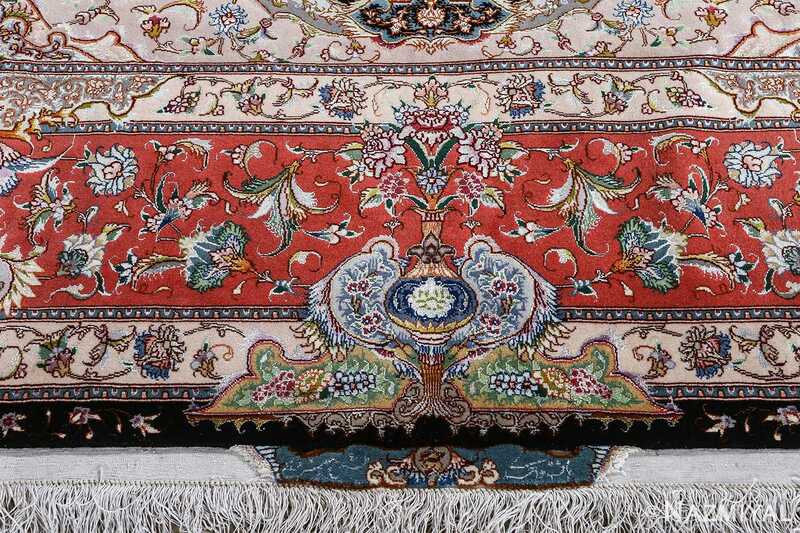 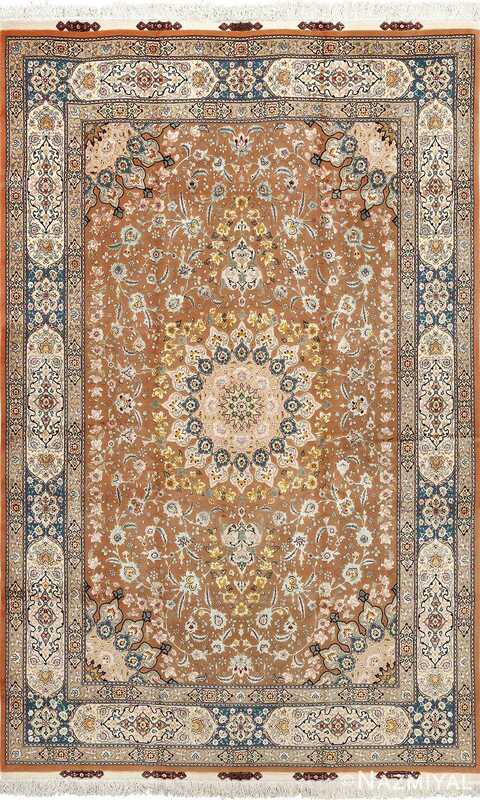 The tones come together to stand out against each other at strategic points throughout the fine vintage Persian rug, resulting in a vibrant display of tone that seems natural in its arrangement. 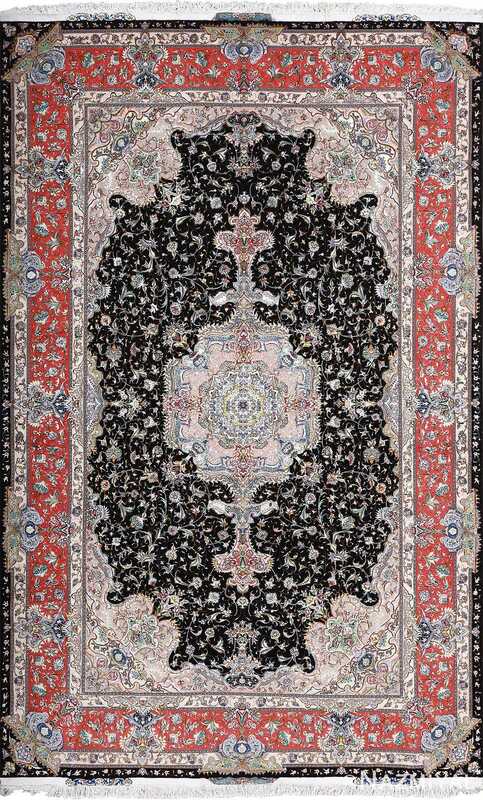 At the heart of the vintage rug, a symmetrical focal point acts as the anchor for the surrounding nightscape, where the small, pale leaves that dance along the ether glimmer like stars in the sky.